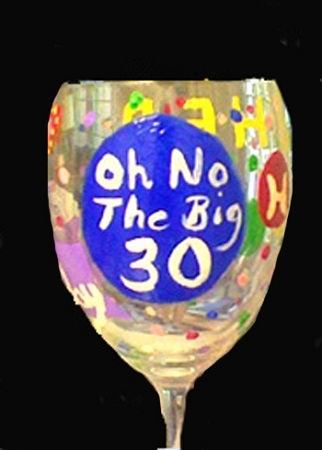 Clearly Susan's age appropriate hand painted Birthday wine glasses for the 21st, 30th, 40th, 50th and even 60th Birthday gifts. 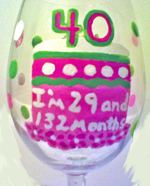 Whatever age we create hand painted milestone birthday wine glasses for her and hand painted birthday wine glasses for him that match their special personality. 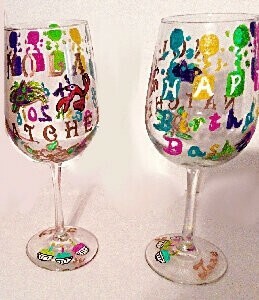 We will hand paint whatever design just tell us about he special person and we will dazzel them for their special day.